Join us on our first day of door-knocking! 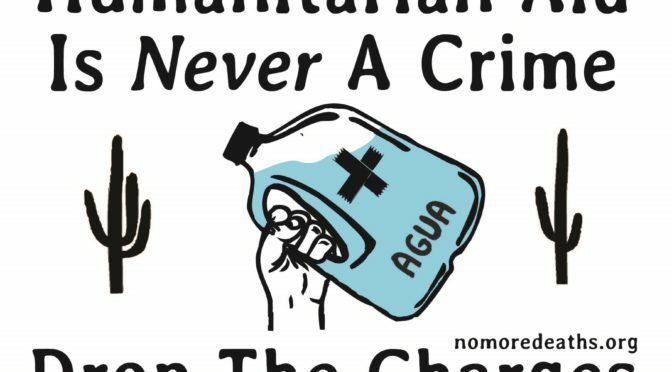 To get out our message that Humanitarian Aid Is Never A Crime, we’re aiming to put out 25,000 yard signs around the county before trials start in January. 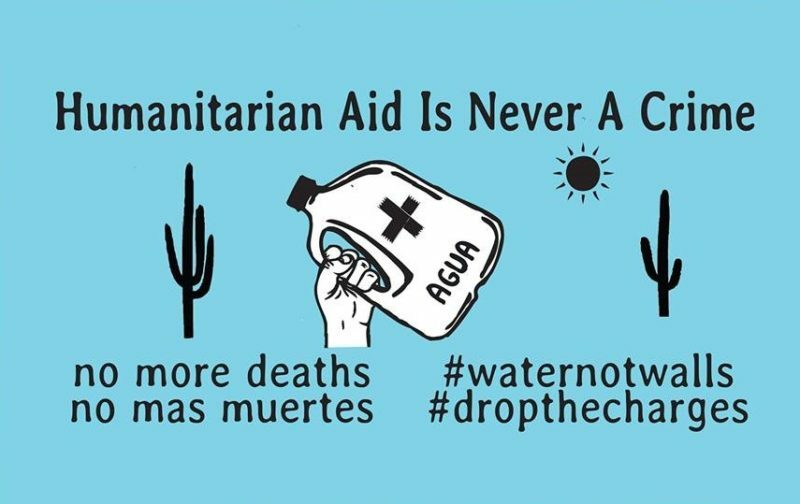 Come help us paint a mural along a major thoroughfare in Tucson! 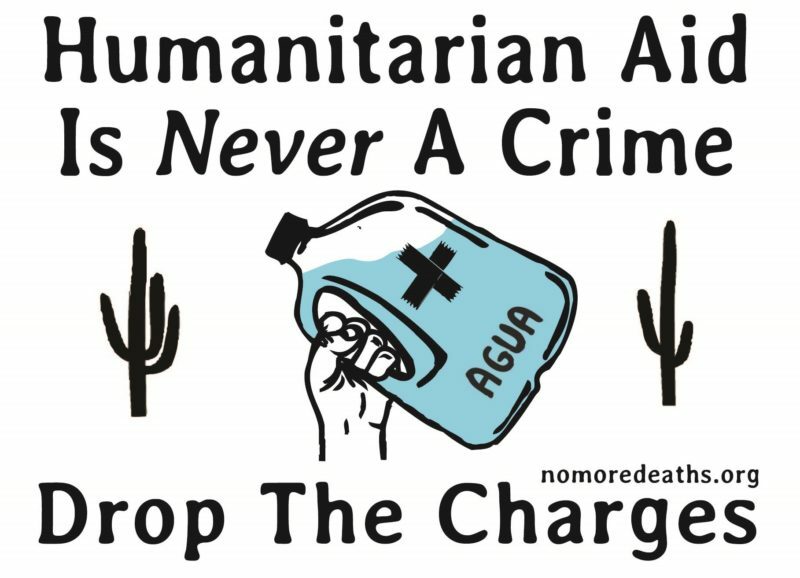 As the trials of our volunteers draw closer, we’re amping up our outreach efforts and making sure that everybody in Tucson knows that HUMANITARIAN AID IS NEVER A CRIME! 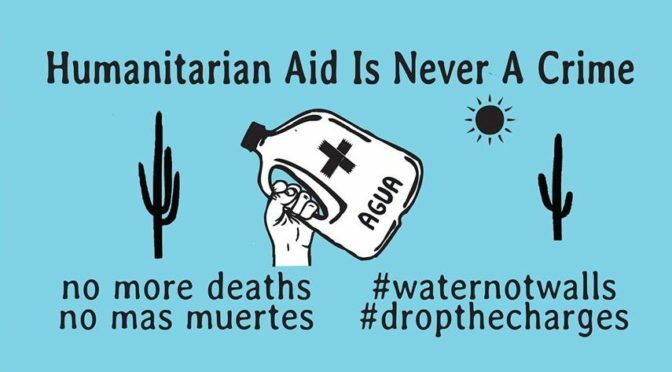 This mural painting launches our fall lawn sign campaign, which will allow Tucsonians to proudly show their solidarity with No More Deaths and to demand that the government cease the criminalization of aid workers. 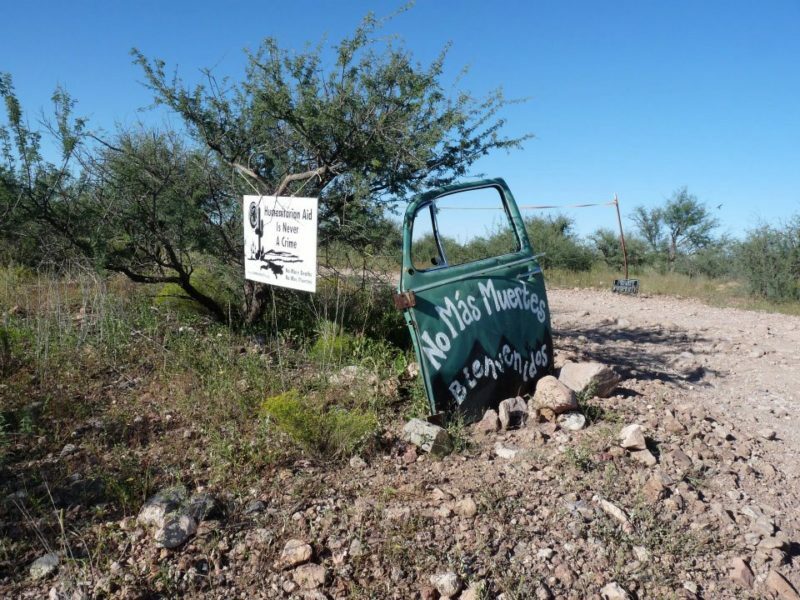 Come pick up a sign for your yard, learn how you can get involved and help us paint by number! Snacks, brushes and cold beverages provided. Wear clothes you can get dirty. Accessibility info: this mural will be painted on a wall along the north side of Broadway between Alvernon and Columbus. We will be working on the sidewalk in little-to-no shade. There will be no bathroom access. Broadway is a busy street with medium to heavy traffic.